My favorite late night personality Samantha Bee will be back!!! TBS has renewed “Full Frontal” through 2017. Between her, John Oliver and Trevor Noah, we’re all set for a Trump presidency. Check out a clip of Samantha’s post-election episode and see why she’s one of the best. You can watch all Samantha Bee clips on her YouTube channel or see full episodes on TBS. Archer has been renewed for three more seasons, FX announced today. That will bring the animated spy now P.I. series to 10 seasons by around 2019. YESSSSSSS!!!!! I was a little worried about Mindy but soooooo glad it’s coming back. Fox announced on Monday that it has renewed four more shows for the 2013-14 TV season, including the Kevin Bacon-fronted freshman drama The Following and the buzzy, bubbly sophomore comedy New Girl. Likewise, Raising Hope has been picked up for a fourth season, and the freshman comedy The Mindy Project will be back for another round. The quartet of pick-ups, combined with Bones‘ previously announced renewal, effectively keeps Fox’s current Monday and Tuesday line-ups intact, with ill-fated Ben and Kate already excised. Among Fox’s scripted live-action fare, this leaves just Glee — which with an eye on Season 5 has protracted negotiations ahead — and Touch up in the air. Boss Cancelled By Starz – The drama lead by Kelsey Grammer has been cancelled. It recently ended its second season recently and will be not coming back for a third season. “After much deliberation, we have made the difficult decision to not proceed with ‘Boss. We remain proud of this award-winning show, its exceptional cast and writers, and are grateful to Kelsey Grammer, (series creator) Farhad Safinia and our partners at Lionsgate TV,” said the network. The show was a generally liked by critics but not so much with audiences. It did bring Kelsey Grammer a Golden Globe award. It’s a little surprising that they cancelled the show since they renewed the show for a second season before the numbers were in for the first season. Dirty Jobs Cancelled – Discovery Channel’s Dirty Jobs has been cancelled. This is the second big cancellation from the network after American Chopper was cancelled last week. The show ended its eighth and last season in September. Chevy Chase leaving Community – The actor has had a pretty rocky relationship with the show. There was the much publicized feud with series creator, Dan Harmon, production being interrupted because Chase was not happy with what was being shot and his use of the N-word on set when he was making a point about where his racist character was headed. Most of Community’s 4th and possibly last season has already been shot with 2 episodes left. Chase will be in all except the final 2. Community premieres this coming mid-season on February 7th, 2013 on NBC. New Promos for Smash and Cougar Town – Smash and Cougar Town return at the beginning of next year and they just released some new promos. Looking forward to an Ellis-less Smash and all the drama that comes with this show. Also looking forward to the wine drinking cul-de-sac crew on Cougar Town. Cougar Town returns on its new home, TBS, on January 8th, 2013. Smash returns to NBC on February 5th, 2013. 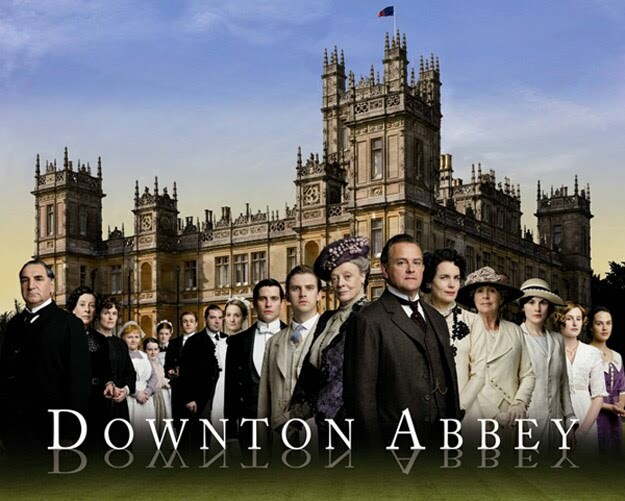 Downton Abbey Renewed – Downton Abbey will be back for a fourth season. Season 3 just finished airing in the UK and will premiere in the States January 6th, 2013 on PBS. PBS will air a recap of season 2 and a preview of the upcoming season 3 on Sunday, November 25th at 8/7c. I know I’m over 3 weeks late here but…. better late than never right? So upfronts happened and brought about the final nail to the coffins of many shows as well as plenty of renewals for the networks. We also get a preview of what the fall 2012 has in store for us. Lets’s start with ABC. Their cancelled shows for the 11-12 season were Charlie’s Angels, Desperate Housewives, GCB, Man Up!, Missing, Pan Am, The River and Work It. Renewed shows are Castle, Modern Family, Body of Proof, Cougar Town, Dancing With the Stars, Grey’s Anatomy, Happy Endings, Last Man Standing, Once Upon A Time, Private Practice, Revenge, Suburgatory, The Bachelor, and The Middle.